Facebook subsidiary Instagram, the Twitter for people who only want to tweet about how hot and rich they are, has long been overrun with paid product endorsements from both genuine celebrities and nebulously influential “influencers”—and so many of them have openly flaunted Federal Trade Commission rules requiring disclosures of paid endorsement deals that the FTC has begun to warn them to take their authority seriously. 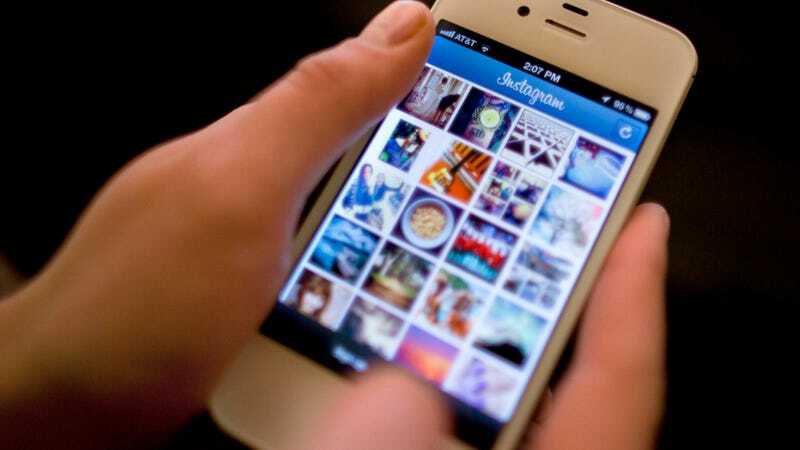 Per TechCrunch, earlier this year Instagram implemented a policy requiring disclosure of endorsement deals, developed a tool to flag posts as part of a “paid partnership with” an advertiser, and gradually began giving access to the tool to an expanding number of accounts. This week it’s making the tool available to all users who have access to insights data, which includes business accounts and many of its more popular users, and will begin notifying accounts which post suspected endorsements without clear disclosure that they “have the option to tag a business,” according to TechCrunch. In addition, the Guides say, if there’s a connection between an endorser and the marketer that consumers would not expect and it would affect how consumers evaluate the endorsement, that connection should be disclosed. Basically, posts need to be tagged as ads, and the recently added feature couldn’t make it more obvious. Instagram’s move seems like a pretty clear prelude to stricter enforcement, which would be good for consumers but potentially not that great for the influencers themselves. In 2016, Jezebel obtained detailed rates for the promotions, which ranged from just about $700 per post for celebrity makeup artist JoJo McCarthy to as much as $15,000-20,000 for Kardashian-adjacent TV personality Scott Disick, who had over 13 million Instagram followers at the time. Nationally famous models like Gigi Hadid have also taken the opportunity to plug products. In other words, it’s a lucrative financial pipeline for celebrities that perhaps can’t score a Matthew McConaughey-style car ad, but have taken the time to cultivate a large online following. As seen in the posts below, historically paid Instagram posts have often named specific products without explicitly revealing they were paid marketing tricks; though it’s not really very hard to put two and two together, consumers are easily swayed by famous people crediting certain products for their good looks and fortunes. The FTC’s growing concern shows influencers might have a harder time getting away with this kind of stuff in the future. Forced disclosure of advertising might mean lower payouts or fewer ads, since marking a post as a paid endorsement devalues both the endorsement and the endorser. But some celebrities seem to have ignored efforts to reign in the party; a report in Pacific Standard earlier this year alleged hundreds of posts from the Kardashians and the Jenner sisters contained vague wording the FTC prohibits, only later disclosed paid arrangements, or simply never contained any disclosures at all.